Registration is OPEN for WOW’s first ever Intro to Shellfish Harvest Workshop! 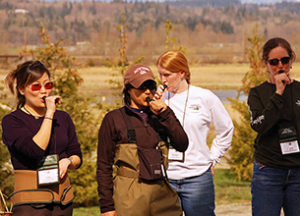 Welcome to Washington Outdoor Women (WOW), a program of the Washington Wildlife Federation. Our program is celebrating it’s 22nd year and offers hands-on workshops dedicated to teaching women and girls traditional outdoor wilderness skills in relevant settings. 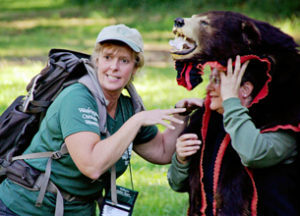 WOW Workshops connect women and girls to the outdoors and provide unforgettable experiences for all skill levels. Our instructors teach 20 different skills that have outdoor applications, from fly fishing to archery to map reading and so much more. Through our workshops together, we gain a deeper respect for the outdoors and become responsible stewards of our state’s natural resources. We encourage you to join us! All photo sales support the WOW program! We’ll send you information about our workshops. And don’t worry, WOW respects your privacy. WOW’s signature Fall workshop spans from a Friday afternoon to a Sunday afternoon, offering up to 21 different courses. WOW offers a few one-day focused workshops throughout the year to drill down on particular outdoor skills. 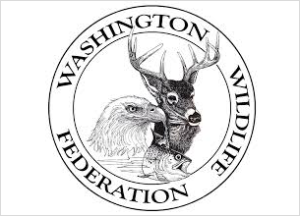 WOW is an outdoor skills education program of the Washington Wildlife Federation.